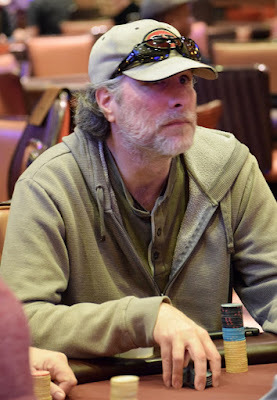 Dermot Lyons, Ben Barad, Jed Hoffman, Neil Scott, Kirk Rexford, Barry Birdwell and Woody Moore are among the players moving closer to as #TVWSOPCircuit Series cash as Level 12 advances in today's $25,000 Guaranteed $365 Hold'em - Event 4 in the Series. With a cash today, Woody would be come only the second person in WSOP Circuit history to have 100 circuit event cashes. There's a 40-minute break at the end of this level.